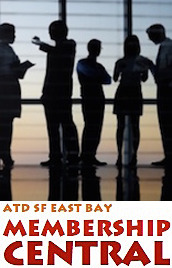 ATD SF East Bay - Are we more alike than we thought? 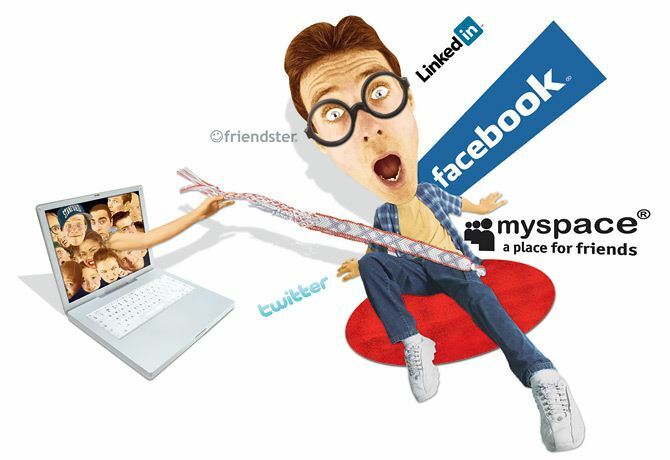 "A Conversation with the 'Millennials'"
Are we more alike than we thought? "A Conversation with the 'Millennials'"
Are we more alike than we thought? "A Conversation with the 'Millennials'"
Last month we discussed the coming of age of the learner at work, and nowhere is this more apparent than with our millennials. This is a group of employees that grew up on a menu of exploding digital media, many of whom processing that bit stream at a faster and faster rate. Others among them entering the workforce better educated than their predecessors. How much do these influences matter? They want feedback, and their abilities acknowledged and rewarded. Are they really that different? According to The Economist, "Businesses are worrying about how to manage different age groups with widely different expectations," and some are taking action on that. Last month, our speaker Dani Jonson with Bersin and Deloitte spoke to that and this month we'll learn Juniper Networks best practices. Previous generations are referred to as Baby boomers, Gen X, and Gen Y; yet Pew Research suggests that this age group resists the "Millennial" label, and the older among them often self-identify as Gen X.
Millennials will soon make up the largest share of the U.S. workforce. Is it time for learning professionals to rethink how to best deliver learning in this multi-generational work world? How do we harness each others unique energy and intellect? How do we gain from the wisdom of each generation? What obstacles sit in our way of collaboration? Join us as guest moderator and Juniper Networks "Thought Leader in Next Gen Talent" Bindu Garapaty, Psy. D. asks our panel of three Millennials some frank questions about work, play, and family. Bring your questions, and get ready for an evening of insights and learning. In an era when "Speed to Competency" can be a make-or-break business metric, from birth Millennials (as a group) may be the best prepared to learn fast. As a true believer in the human potential, Bindu Garapaty has found the intersection of happiness, human behavior, and leadership. 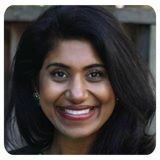 With a doctorate degree in clinical psychology and an entrepreneurial spirit, Bindu is the co-founder and CEO of The Happy Leader, LLC. She infuses evidence based practices and lessons learned from her leadership roles in health care, corporate, academia, for profit and nonprofit organizations, to empower leaders to find their intersection of happiness, meaning, and impact. Dr. Garapaty’s presentations and trainings have included both national and international forums in areas of leadership, education, and women’s health. Her approach highlights the importance of understanding cultural paradigms and building emotional resilience. She uses key learning strategies and insights to empower leaders to enhance critical thinking, increase effective communication, and build powerful networks. Since 1999 Bindu has been committed to supporting and empowering women with engagement in a variety of non-profit board capacities. Currently, she serves on the emerging executive advisory committee of Watermark and drives the Marketing leadership development program focused on senior leaders as well as the Marketing new college grad program at Juniper Networks. Working out, spending time with friends and family, traveling and creating new experiences are a few things that contribute to Bindu’s happiness quotient. In her role as a Field and Partner marketing manager at Juniper Networks, Paige Gilley supports the Western Field sales teams, while also managing the marketing programs for Juniper’s Western and National Partners. In this role, her success resides in her limitless desire for continued learning, relationship building, and information sharing. Paige’s tenure at Juniper initially begin as an intern on the Brand and Marketing Communications team. Identified as key talent, she returned to Juniper after graduating and helped to orchestrate a global program focused on the company’s strategic alignment. During that year, she spearheaded a 6 month “mini-rotational” program which created the opportunity to collaborate and contribute to additional functions within marketing. Paige has been instrumental in mentoring and guiding the next generation talent as she shares her skills in navigating the corporate culture and serves as a sounding board when sharing ideas around innovation. She holds a degree in Business, Entrepreneurship, and Organizations from Brown University, where she was a contributing scorer on the D1 swim team for 4 years. Paige’s team spirit and influence cascades into all that she does. Outside of work, Paige enjoys coaching swimming, and exploring new restaurants in her hometown of San Francisco. In 2011, with an affinity for numbers, Riddhi Jain entered the University of California, Berkeley, as a Statistics major. Shortly after an internship experience in this field, she realized she needed more than numbers to connect to something greater - to connect to people. As a result, Riddhi pursued degrees in both Social Welfare and Education. The learning that took place while feeding her intellectual and emotional curiosity led her to a role at Juniper Networks. As a new college graduate, Riddhi brought powerful perspectives, insights, and initiatives that influenced and impacted leaders within the organization. With an opportunity to rotate through four areas of marketing and truly understand the business, Riddhi found her ideal role. 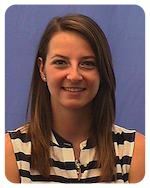 She was able to integrate her interest for both numbers and people and currently leads market research efforts for the Marketing Analytics and Decision Sciences team. Riddhi firmly believes, If you have knowledge - share it. If you have the power to make a difference - make a difference. 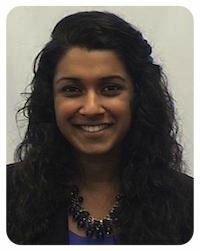 Riddhi believes in empowering individuals and has worked globally and across functions. She has been a leader within her new college grad cohort and serves as a mentor to incoming corporate interns at Juniper. Outside of work, Riddhi is creative in her crafting, practices Krav Maga, the art of self-defense, and dedicates time to volunteer at the Massachusetts Youth Leadership Foundation. 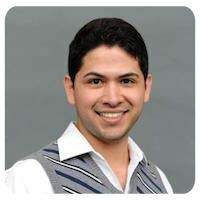 David Rosales is a Senior Learning Consultant at Kaiser Permanente with an MBA in Human Resources from Umass Amherst. He has 8+ years of experience designing, facilitating, implementing and measuring learning solutions in support of organizational development. On weekends you can find David kayaking around the bay or working on a new song.